When it comes to tidying a home at a moment’s notice, nothing beats basket organization. From pantry organization to de-muddling a mudroom, baskets make light work of sorting, storing, (hiding), and creating ways for real life to happen. Here are a few examples of how to use baskets to organize your home. 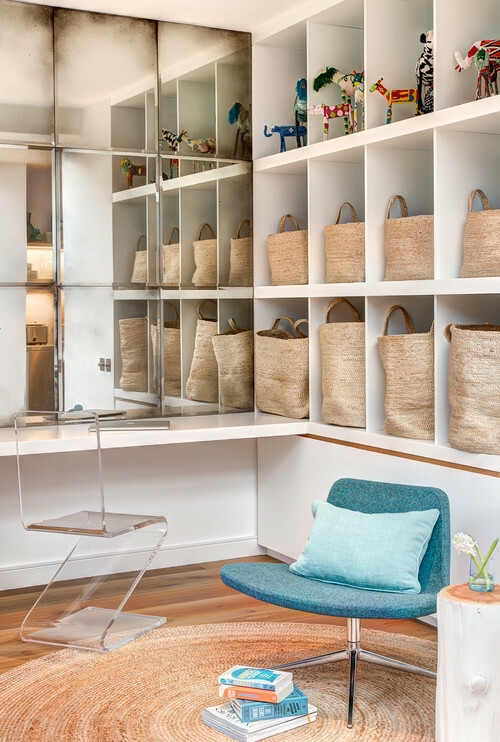 Even slouchy baskets look clean and organized when identical ones are all lined up on a shelf or in their own nooks. Make this method even more useful with simple tags or signs designating each basket’s contents. We love the tote feel of these baskets, perfect for the grab-and-go folks. Think library books, soccer games, park play dates and storing winter gear—no matter how many baskets you have, we’re sure you’ll find a way to fill them. Even the best-behaved pets come with baggage, and a system like this organizes it perfectly. From food to toys to collars and outdoor gear, baskets are a great way to “unleash” the fun of pet ownership while kenneling the chaos. Baskets in the pantry are a great way to group like items together. 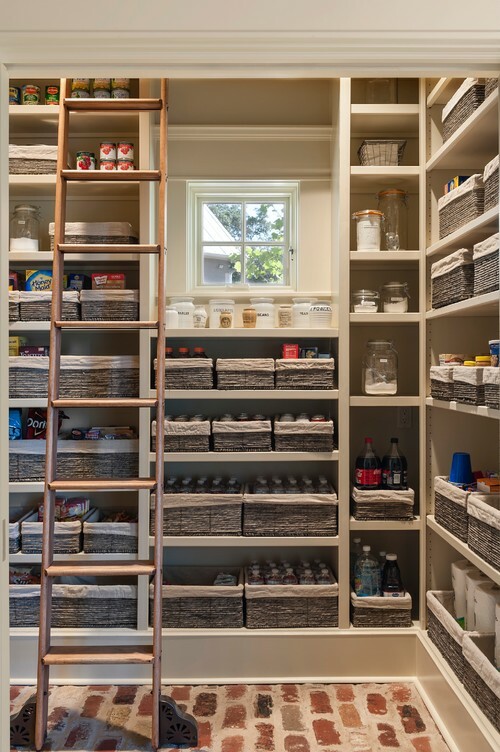 This magnificent pantry unifies the look of over a hundred items by grouping them by type and function. And, because the baskets are low-profile, there is no need to label everything. Don’t we all wish our kitchen had a room like this attached? 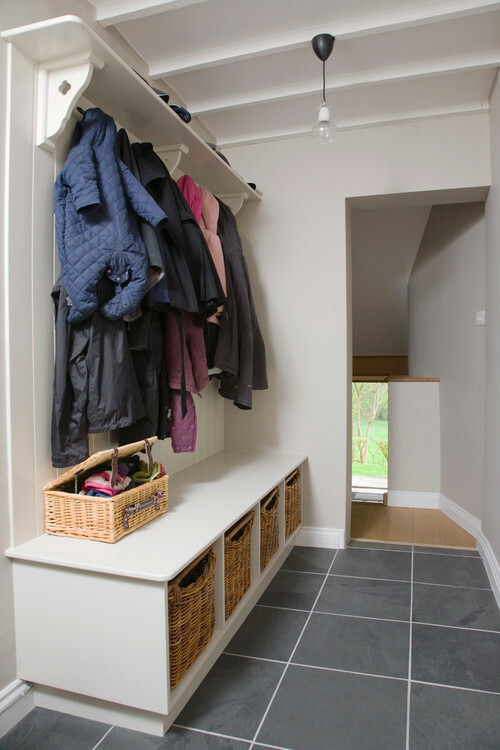 Ask anyone in a snowy part of the world what their winter hang-ups are, and they’ll say, “SNOW GEAR!” A foyer storage area like this one is well suited no matter which season, with plenty of hooks above and a bin for everybody below. Take this look to another level with two rows of baskets, the top one for socks and the bottom one for shoes and boots—this way everyone heads out of the house on the right foot. These are just a handful of ways basket organization can weave some magic into your home. 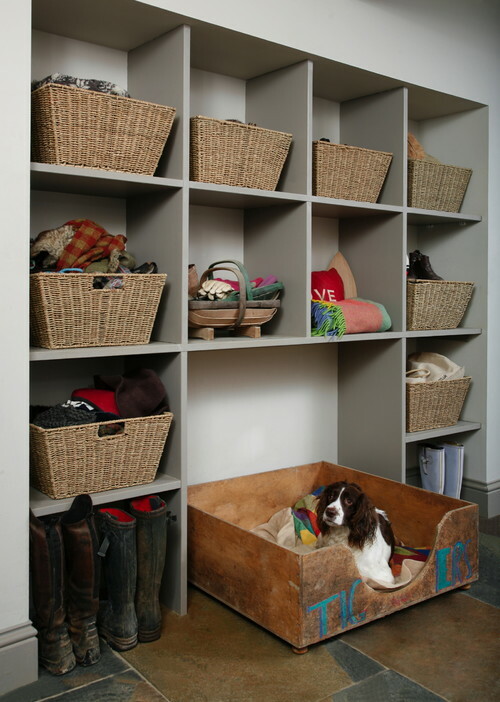 How do you use baskets in your own home? Do you have any tips you can share with us?